Roxy Stinson at the U.S. Capitol Building waiting to testify before the Wheeler Committee. Eldora Stinson and her 7-year-old daughter, Roxy, moved to Washington Court House in 1896. Originally from Pierre, South Dakota, they lived in Memphis before relocating to Fayette County at the urging of relatives who resided in nearby Jamestown. Eldora opened a music conservatory on the second floor of a building on North Main Street that housed a men, women, and children’s clothing store. The store, opposite the courthouse, was owned by Jess W. Smith. Eldora and Roxy lived in an apartment on the building’s third floor. In 1908, Roxy Stinson at age 19 married Jess Smith, who was 16 years her senior. (She gave her age as 23 on the marriage license.) Roxy was an attractive, statuesque, strawberry blond. The couple divorced in 1910, but they remained pals and confidants. 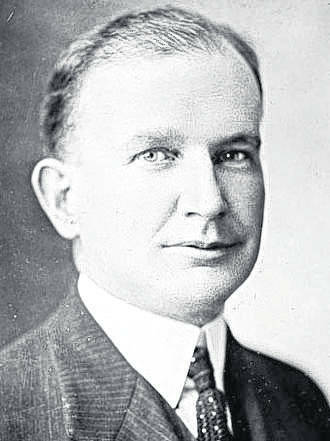 Jess Smith was the influence peddler and “Man Friday” for Harry M. Daugherty, the Washington C. H. native, who began serving as Attorney General of the United States on March 4, 1921. Daugherty was appointed Attorney General by President Warren G. Harding, whose nomination for the presidency he had orchestrated at the Republican national convention in 1920. From the outset, Daugherty’s tenure at the Department of Justice was clouded by allegations of shady deals with a bevy of unsavory characters. In poor health and depressed over his part in the scandals, Jess Smith died of a self-inflicted gunshot wound on May 30, 1923. 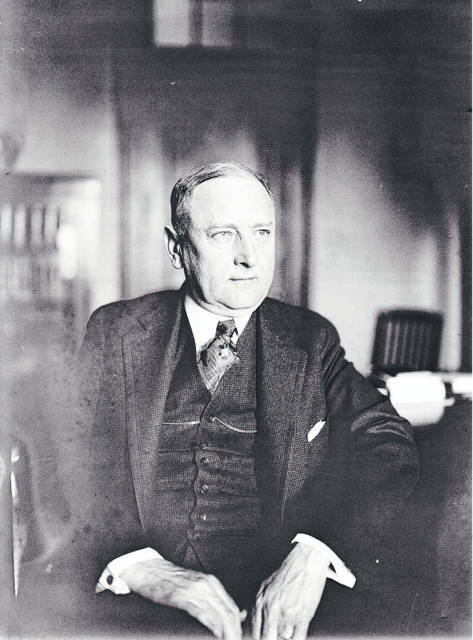 Burton K. Wheeler, a Democrat, was elected a United States Senator from Montana in 1922. In March 1924, he led a Senate select committee charged with investigating Daugherty’s rumored malfeasance. Washington D.C. insiders told Wheeler that Roxy Stinson knew all about Daugherty’s shenanigans through gossipy conversations with her former husband, Jess Smith. Senator Wheeler came to Columbus where Stinson was living and subpoenaed her to appear before his committee. 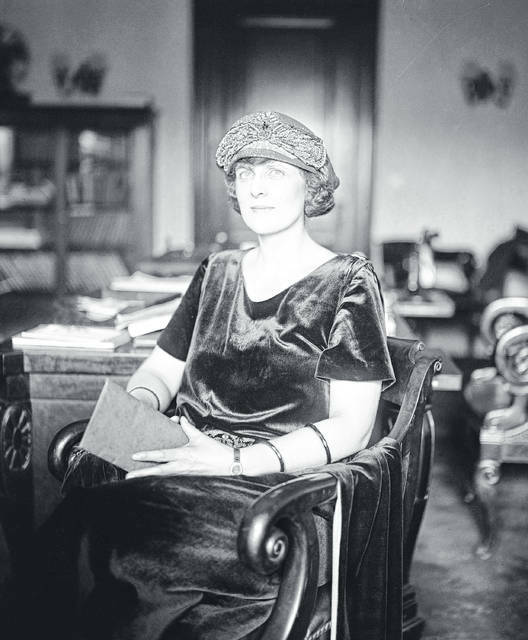 The committee held hearings for the first time on March 12, 1924, and Roxy Stinson was the first person questioned. She returned to the witness chair the following day and was called back three more times before the committee concluded its work in late March. Dressed smartly and occasionally glancing at notes, Roxy gave eye-popping accounts of payoffs, secret meetings, the clandestine exchange of stock certificates, and suitcases of liquor that Smith brought back to Washington C.H. despite national prohibition. She said that Smith had once shown her a roll of 75 $1,000 bills. Roxy Stinson was no friend of Harry Daugherty. She told her interrogators that Jess had been “the tool of a Kaiser-like man.” She believed Daugherty was “morally responsible” for her ex-husband’s death. Senator Wheeler’s committee questioned 115 witnesses, whose transcribed testimony and supporting documents totaled 3,300 printed pages. Roxy’s testimony was instrumental in President Calvin Coolidge asking Harry Daugherty on March 28, 1924 to resign as Attorney General. In 1926 and again in 1927, Daugherty was tried in federal court for defrauding the government. The juries deadlocked at both trials. In 1926, Roxy Stinson married Phillip Brast, an automobile salesman in Columbus, who previously had done oil exploration in Oklahoma. Phillip and Roxy Brast soon moved to Washington C. H. and lived inconspicuously at 526 Mulberry St. for 45 years. Mrs. Brast had no children, but she was fond of the youngsters who lived in her Millwood neighborhood, where young Lester Coldiron cut her grass and Cathy Croker helped with her cats. Mrs. Brast never discussed her moment in the national spotlight with historians, newspaper reporters, or even her friends. In 1954, she telephoned Burton Wheeler when he was no longer a United States Senator. Wheeler and his star witness reminisced about the hearings three decades before. Mrs. Brast told him she had married soon after the hearings and that she had lived happily in Washington Court House ever since. Senator Wheeler later wrote that her phone call was “the final, happy echo” to his investigation of Harry Daugherty. Roxy Stinson Brast died on Jan. 1, 1973 at her Mulberry Street home. She was 83-years-old. She is buried in Jamestown, Ohio, beside her mother and father. https://www.recordherald.com/wp-content/uploads/sites/27/2018/04/web1_Roxy-Stinson-Photo.jpgRoxy Stinson at the U.S. Capitol Building waiting to testify before the Wheeler Committee.